We all need our staple leather jacket, especially seeing as Autumn/Winter has come so quickly. 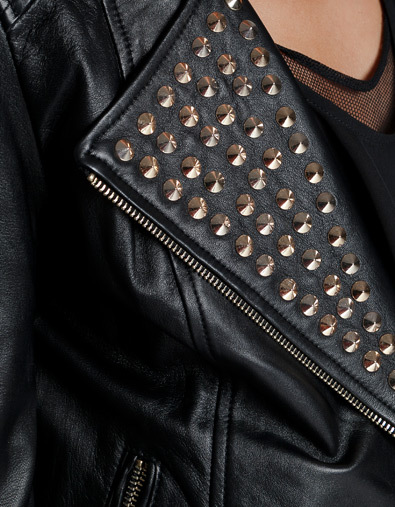 I have had a good look around and in order to stand out from the crowd I have fallen in love with Zara’s Leather Jacket with Studs at a pricey £169. I think that price can only be justified when buying a real leather jacket that you will use over and over again, year after year. So get down to Zara for your fashions must have! So what’s everyones opinion on wearing maternity when your not? My friend spotted a lovely dress, she had her eye on it for a while, until she realised it was maternity – which usually we would all put straight down and roll our eyes, but why? Any amount of excess fabric or natural shape of a garment we can tailor to our own style by use of belts, a jacket or even tucking it into our high waisted shorts. I say don’t rule our maternity wear any more. In fact after advising my friend to try it on it looked great on her! 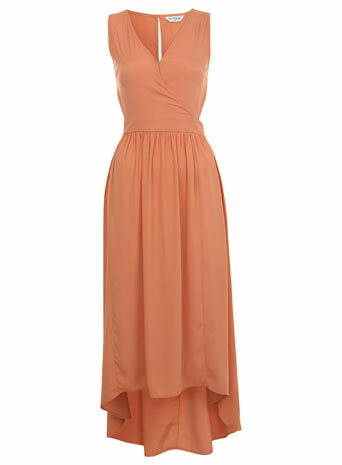 At a mere £10 in the sale, the only answer was a yes, a great bargain and a superb summer dress. 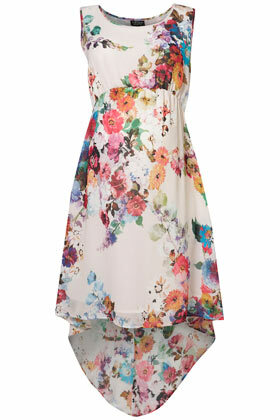 So todays Fashionsmusthave is the Maternity Blossom Dip Hem Dress from Topshop at £46. 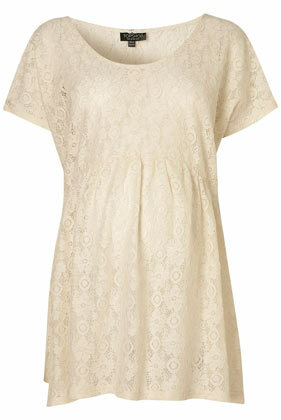 Below are a few key trendy items from Topshops Maternity Range. Interested in seeing what Topshop brought to Brazil? Well I was lucky enough to go and see there first store based in the new JK Iguatemi shopping mall, Sao Paulo. I wasn’t sure whether they would keep there exact style, crazy clashing of prints, splashes of colour and majorly in trend or just die it down and try to adapt to Brazilian fashion. Well I was glad to see Topshop stuck to what they are good at and brought all of the UK’s spring/summer trends to Brazil. Interested? Well look at all my pictures below…. Some interesting things I noticed where that prices once converted into Reals, the Brazilian currency, where similar to prices in the UK. Each and every tag/label was still written in English e.g. ‘Ankle Socks’ or ‘Over the Knee’ and some even still had UK prices. Is this to keep the British theme of the brand? 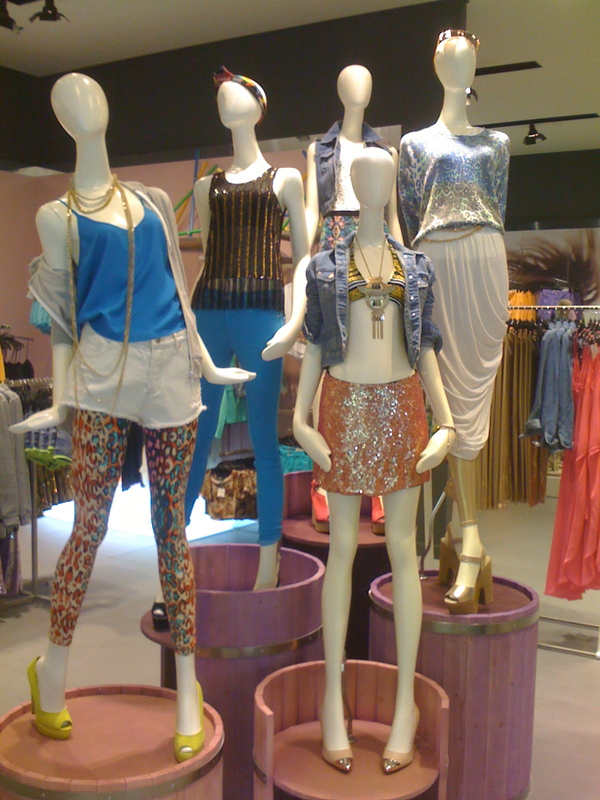 All their visual merchandising was just as you would see in the UK, funky, stylish and totally in trend. The in store layout was modern, reasonably spacious and displayed all garments well. 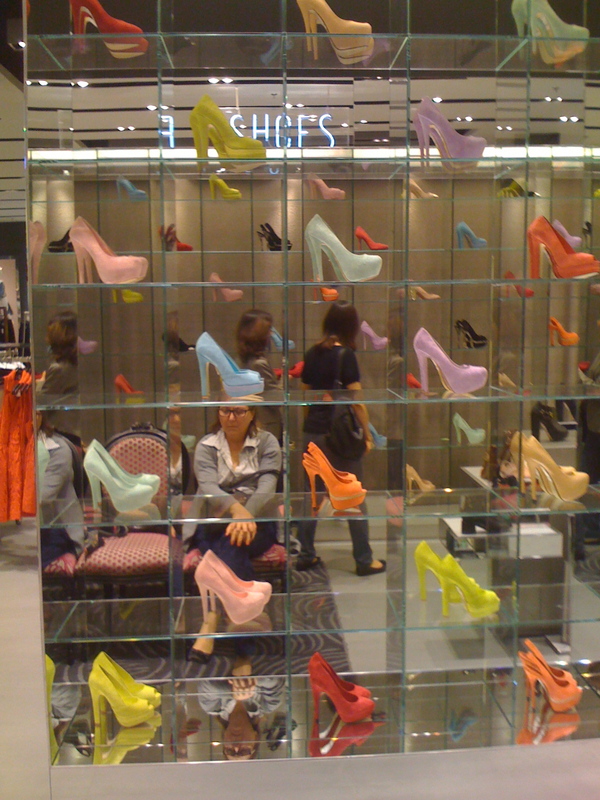 But my favourite part was definitely the SHOE GALLERY, I have never seen this layout in any other Topshop, it looked incredible! So there it is! 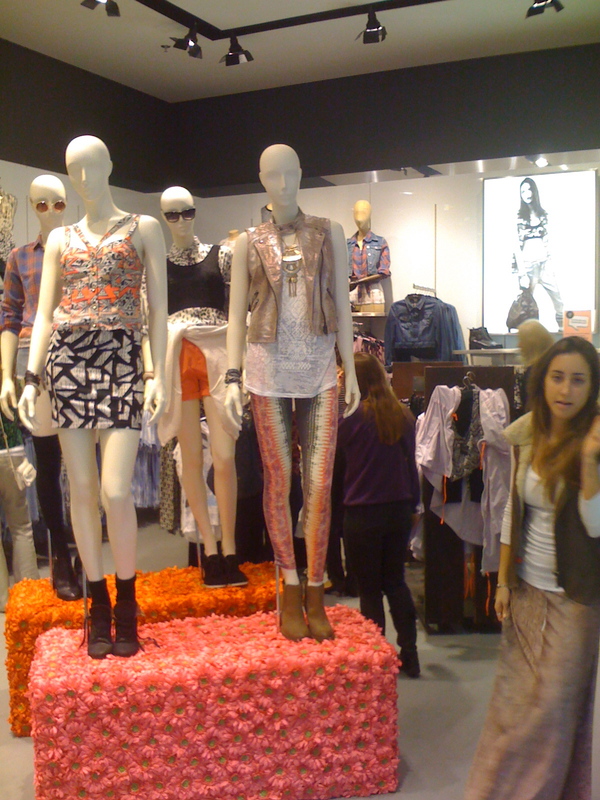 A peep into the Topshop store in Brazil. But of course, as I always do, I must blog my Today’s Fashionsmusthaves and it’s coming straight from Topshop in Sao Paulo. 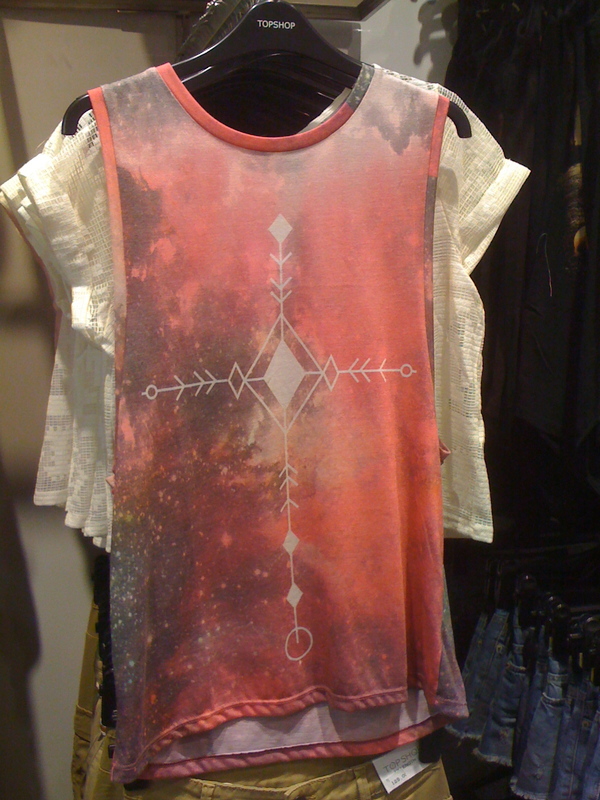 This jersey top caught my eye being colourful, loose and in the style of Black Milks Galaxy Leggings. It was priced at 74 Reals which is around £24. Anyone else just love it? So I am currently in Sao Paulo in Brasil and am making note on how different the fashion is here! I have found a really cool shop called FARM and will update with some photos when I get back. 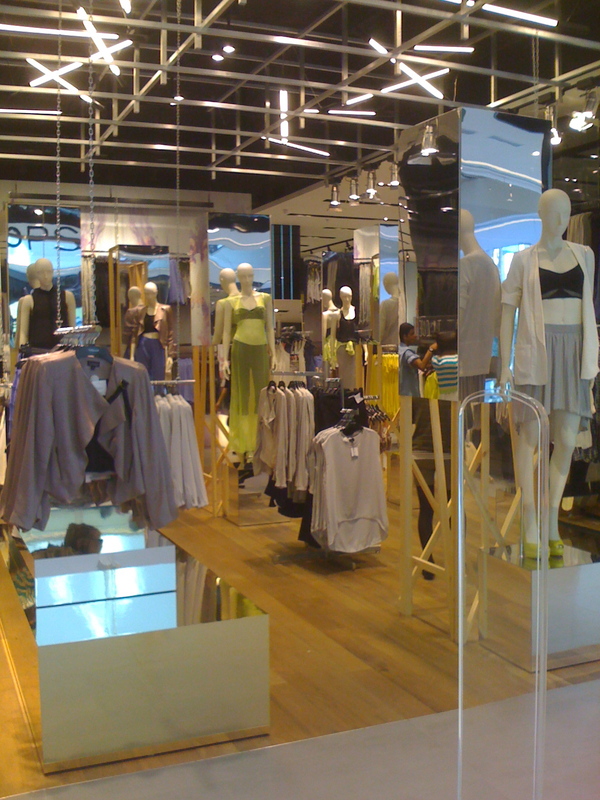 I am also going to visit the first Topshop opening in Brasil – can´t wait to see how it differs! Shall keep you updated. Only 2 more days until I go to Brazil, I can’t wait! All I need to complete my suitcase are these Black Lace Up Flatform Espadrilles, I’ve tried them on before, they are really trendy and comfy. 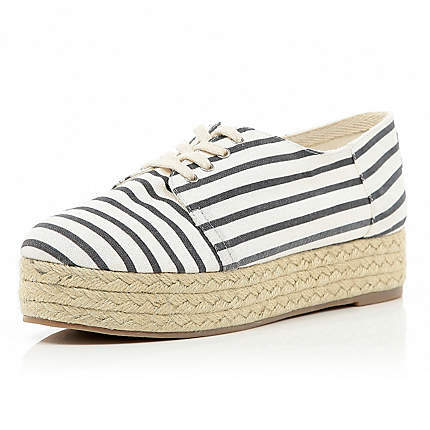 From River Island at only £18.00 they are the fashionable shoes of the summer and go with almost everything. 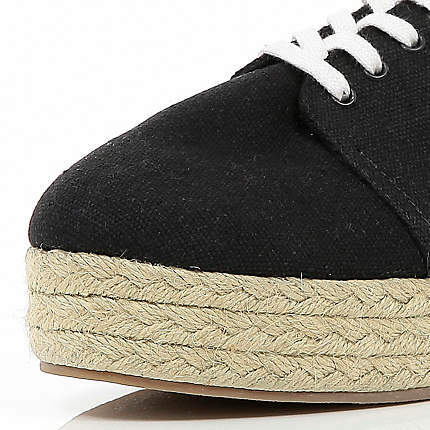 Don’t miss out, get your flatform espadrilles – fashion must have for the summer! Today really hasn’t been a great day for me, how about you? 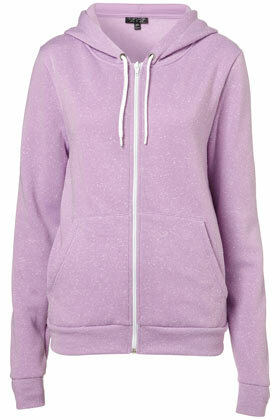 I am just so glad I have my lilac cosy jacket in my life that my friends got me for my birthday. 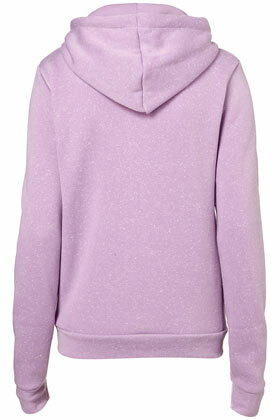 The inside is very cosy and fleecy and it’s lilac, available from Topshop for £26.00, what more could I ask for? Something cosy and in trend. Doesn’t get much better than that. So go on girls, indulge and get that cosy fleece we all need for the chilly summer evenings. 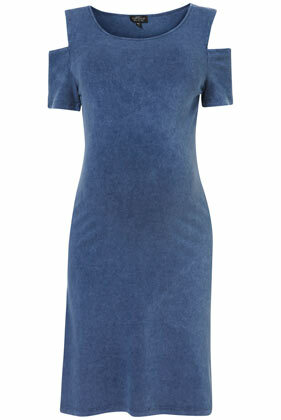 Need a casual midi dress? I have the perfect one to just throw on whilst your at the beach. 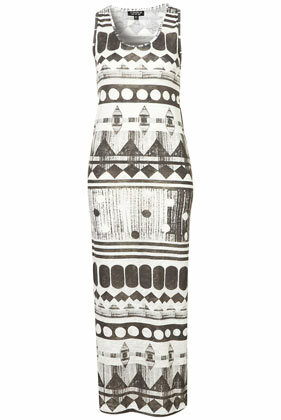 With an aztec print this Aztec Racer Back Maxi Dress is available for just £28.00 from Topshop. This is a definite fashion must have for your holidays this summer! Anyone a major fan of Disney like me? 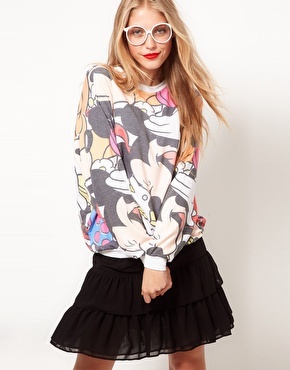 I am always in need of jumpers but have fallen in love with this ASOS Sweat with Mutli Disney Toon Print. Crafted by soft jersey fabric, with a relaxed and regular fit this jumper is available for £28.00. Just what I want! Would you?